1. In a large skillet, heat the oil, and saute the sausage, breaking it up, until it is no longer pink. 2. Add the garlic, red pepper flakes, and onion, and saute for 2 to 3 minutes, until the onion begins to soften. 3. 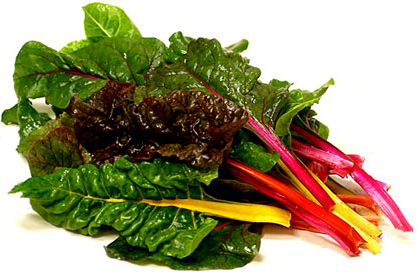 Add the chard, and toss to combine. 4. Add the 1/2 and 1/2, and simmer for 4 minutes, until the chard is softened. Season with salt and pepper. 5. Add the hot pasta to the skillet, and toss to coat. Add 1/2 of the cheese, and toss again.